I am a strong believer of positivity! This post is a place for people to come and leave uplifting, positive thoughts! I feel it is so important to bring out the good in others and to spread love by being positive! Please leave your positive thoughts, uplifting quotes, scriptures, or share anything positive! When I designed and made this button I never dreamed it would be such a blessing to not only me but everyone that comes here to visit! I LOVE it! Who can't use some positive encouraging words, right. Excellent idea. Oh goodie, I get to be one of the first to try the positive button. I have this scripture on my facebook because it just speaks hope, love and peace. "Open hands catch the ball. Open hearts catch love." One of the things I love about blogging is that I can focus on the positive...and not be critical like I naturally can be. Jeremiah 29:11 says "For I know the plans I have for you," declares the Lord. "Plans to prosper you and not to harm you. Plans to give you a hope and a future." 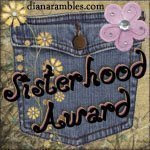 And though I love all the giveaways, I appreciate Seeking Sisterhood the most...because it is exactly what I am doing! Happiness is a choice; a conscious decision everyone makes, or doesn't make, every day! 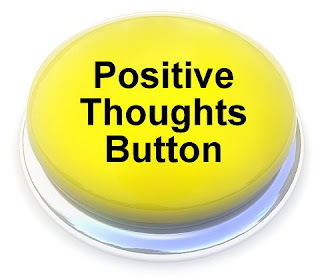 I REALLY need positive thoughts sent my way :) So I will be checking in to see what others have to say. What a great idea, cute button! 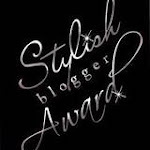 Even though we have never MET, you have been such an influence in my blogging life and I consider you a great friend!!!! Hugs & Love to you!!!!!! Every new second of your life is a new chance to get it right. and a time to every purpose under Heaven. i am vary excited my parents (the snowbirds) are coming home this week after 4 months out west...my little boy is very happy! Much better idea than the "easy" button - we could all use more positivity in our lives!!! Take care and have a great week - you are such a lovely, delightful person bringing joy to LOTS of people! I'm naturally not a very positive person so your button and article are an inspiration. Thanks for making me think about changing the negative for the positive and all the benefits that can follow! Here's a great saying that I try to remember when things aren't going well. It will all be okay in the end. If it is not okay, then it is not the end. Smile and be nice. The tiny gesture you forget in a second may be the brightest spot in someone else's day. What goes around comes around, so send around your very best! This is a fantastic idea!! 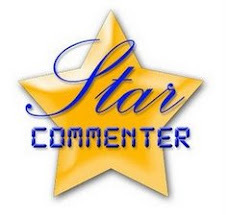 I think I should put something like this on my blog! Here's a quote I like: "Here is a test to find whether your mission on earth is finished: If you're alive, it isn't." I really like the straightforwardness of TtSC, thanks! I could really use some positive thoughts! Hope to see you at Kristina's blogger lunch! "Today is the first day of the rest of your life." So begin as you mean to go on! You are a good friend! Great idea!!!!!!! I just found a blog yesterday that's all about looking at the bright side. Here's the link. I hope it gives you lots of positive feedback! "I will lift up mine eyes unto the hills, from whence cometh my help"
with health issues i know there is not a timeline to that promise, so day to day living and faith that it WILL come keeps me going, AND positive! thanks so much for this Shauna! Love this! I think there's a song that says, "Smile and the world smiles with you." Makes sense, doesn't it? But, you can choose how you handle them." I pray Thee, O God, that I may be beautiful within. And every single one of them is right." I saw the first robin of spring in my backyard today...talk about positive! 4Love is patient, love is kind. It does not envy, it does not boast, it is not proud. 5It is not rude, it is not self-seeking, it is not easily angered, it keeps no record of wrongs. 6Love does not delight in evil but rejoices with the truth. 7It always protects, always trusts, always hopes, always perseveres. Today you are richer by the exact amount you learned yesterday. What an Awesome idea! 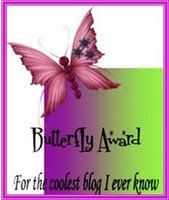 You have the best blogs hands down! The best and most beautiful things in life cannot be seen, not touched, but are felt in the HEART! "No matter what circumstances you sisters experience, your influence can be marvelously far-reaching. I believe some of you have a tendency to underestimate your profound capacity for blessing the lives of others. More often than not, it is not on the stage with some public pronouncement but in your example of righteousness and the countless gentle acts of love and kindness done so willingly, so often on a one-to-one basis." 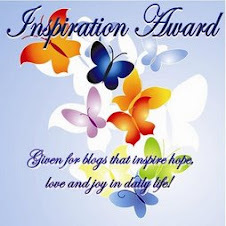 May I also put this idea on my blog and spread the joy if beautiful inspiration? "Our task is to become our best selves. One of God's greatest gifts to us is the joy of trying again, for no failure ever need be final." It's a gorgeous day & I'm going a long walk! 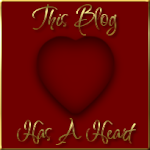 Shauna I love your blogs! They are so uplifting and positive. Thank you for all the love and time you put into them. spring is just a few days away! yeah birds chirping trees blooming, so happy for it! Positive people make the most of their days, are less tired at the end, and appreciate others more. I think that should be all of us, no? I am thankful for so many Blessings in life that are many times taken for granted...my God, husband, kids, house, food, ability to work and pay bills, freedom to be free in this country, having a computer, electricity, water, cars to drive, schools, music, washing machine and dryer, immediate and extended family still living, a brain and a memory, a voice, my eyesight, mobility, hearing, and so much more that is not guaranteed in life, but that we all take for granted each day. Smile at a stranger today - it will make 2 people feel better. You know, this morning I woke up able to see, able to talk, able to hear, able to breathe, able to hug my children and be with my soul mate (husband) in the warm sunshine.....I give all my thanks to God, whom made all that possible. And when we are ankle deep in the snow tomorrow (winter storm coming), I am going to praise Him because I know He will bring the sun back! I just had a cancer scare recently and for 2 months had been going through tests (painful) and the stress of it all. What sustained me is really thinking of how everything has a purpose and that there is something to be learned from what I was going through. I was at peace and positive that things will work out. Last Monday, cancer was RULED OUT. I believe that faith, hope and positivity really makes a huge difference in people's lives! Hoping for a positive day today!!! MANDALA, thank God!! !...that is a long time to be scared and try to stay positive every moment. So happy and elated for you! It gives people a new outlook on life, RIGht!? The airlines got one thing right: adjust your own oxygen mask first, THEN turn around and help everyone else. Whenever I'm feeling down, my little dachshund Nelson senses it...and climbs onto my lap to give me sweet puppy kisses. Talk about adding a bit of positivity to my day! I just hatched out a bunch of baby chicks. There is nothing sweeter than fluffy baby chicks jumping into your hands and snuggling their heads between your fingers. I love God's creation. So much love and cuteness. Mandala, that is such great news! Your right, we put our faith & hope in the Lord, and it will not return void. God bless you! Here's a good one to share! SO TRUE...our youth needs to hear this, they are so pressured these days to be good, athletic, beautiful, intelligent...it is hard for them to see what they have to offer others. It is in GIVING that we receive! Don't wait around for other people to be happy for you. Any happiness you get you've got to make yourself. "Dance as though no one is watching you, love as though you have never hurt before, sing as though no one can hear you, and live as though heaven is on earth." 18,904,110 people are having a birthday today. Treat the next stranger as if it's his birthday (maybe it is!!). Life is not measured by the amount of breaths we take, but the amount of moments that take our breath away. Looking in at the positive feedback. Now I know where to go when needing some upliftment! 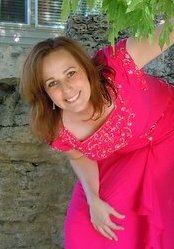 I just got my first client for my new Executive Recruiting business today...yippee!! Blessings and positive thoughts coming your way. Discontent is the first step in the progress of a man or a nation. It lets me know that if I am not content with something, I need to take a step to change it...not just physically, but mentally! A rose by any other name would smell as sweet. Smell 'em where you find 'em! I think I can. I think I can. I think I can......!! To start living the life of your dreams you only need to do ONE thing … change your state of mind. Hi everyone! I found a really GREAT thought today online. Simple but true! Right in the middle of a cloudy rainy day, the sun shined through the clouds this afternoon -- and a small rainbow appeared! Thanks to everyone for leaving such inspiring comments. Reading them helped me a lot this week. I thought it was supposed to be cold and rainy today. Well I got a wonderful surprise with a lovely day filled with sunshine! This always puts me in a positive mood! Just stopping by to wish everyone a warm and wonderful Thursday! OOOh. I love this one! wow...that just about covers it ALL! Never look back at what might have been but look forward to what will be.. I hate to say it but thinking positive didn't stop my alternator from dying on me today. :-P And when they tried to replace it, a bolt/belt had to be replaced, too, adding another $100 to the bill. Blah! Still trying to be upbeat, though. At least the 10-year-old heap still runs!! A local dairy just opened their ice cream shop for the season today. Ice cream always gives me a positive outlook! My positive thought is that I choose to be happy. Life is what you make it. And if you choose to be happy you will! We live by faith and not by sight! The trials of this life will ulitmately lead to joy if we tryst in God's plan and discover how to use adversity to grow stronger!! It's easy to be positive when you're around happy, positive people. It's much more difficult when you're the only positive person in the room! I am babysitting my niece and nephew tonight -- and they truly are such a joy! They really make me smile and always put me in a positive mood! Always praise your children and let them know they can be anything that they want to be, they just have to believe in themselves. miskallie2000: Excellent advice! My mother used to have a poem framed on the wall that said just what you did. A parent can't encourage their kids enough! They really are our future. The sun is shining and it's a Saturday...what's more positive than that?! I always share SMILE stuff, but it truly pays off to SMILE. So.... Put a Little Smile on your Face!! Keep a smile on your face and you will feel so much better if you are not feeling great..Smiling gets all the good feelings working...also makes people you meet smile back at you..
" Obey the voice within - it commands us to give of ourselves and help others. As long as we have the capacity to give, we are alive." I think I shut off too much...I think I have nothing to offer because I am thinking BIG...but really I think most things grow by taking smaller steps! i ask my twitter followers to tweet positives every day...i love that you do this too! I just found out today that I won a Barnes & Noble Nook eReader! Happy, happy day!! Every Fairytale has some adversity to make it to Happily Ever After. Adversity helps us grow!! Make the best of any situation. Congratulations, Nelsby. I hope you enjoy your nook. By the way, it's a small world! ... you live right down Main Ave. about a mile or two from me! Great reminder especially first thing in the morning, thanks! A friend is someone who knows all about you and LOVES you just the same!! 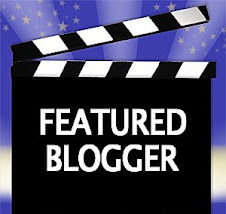 I love all my BLOGGY friends. I am watching The Office on TV right now. This show is hilarious! And it always makes me feel more positive about my job! I saw a really beautiful women in the mirror this morning. Never ask someone to do what you would not do yourself. Never treat others as lesser than you. Just think ... soon it will be hot and sunny enough to want to eat a snow cone!! "Positive anything is better than negative nothing." Spring is so pretty!! Not that the other seasons aren't but there is something so nice about the flowers and GREEN!! So ENJOY the weather and SMILE today. My garden is looking wonderful. As I sat in a fast and testimony meeting in Colorado this weekend with 3 of our children, their spouses and 10 of our precious grandchildren, the thought kept coming to me, 'Where much is given much is expected'. One of those is having a heart of gratitude! As women being so blessed by so many of the Lord's blessings both small and large I am so full of gratitude for ALL things. Even those hard things which teach and help us to grow and become stronger and closer to HIM. I just got home from watching my niece and her entire second grade class in a musical play called Bugz. I had forgotten just how funny it is to watch a big bunch of 8-year olds trying to act and sing! I really need this i have been having a bad time with depression and i need some positive in y life right now i have gone through and read all of these! i lov lov lov it! it! THANKS I hope getting back into blogging puts JOY back into my life! It is a beautiful night and I am feeling oh so lucky! Never forget that God works in mysterious ways. “Don’t wish it were easier, wish you were better. Don’t wish for fewer problems, wish for more skills. I need to live by this and complain less! You don't stop laughing because you grow old--you grow old because you stop laughing!! I love my kids even when it is hard. Did you ever read Helen Keller's autobiography? It is simply amazing. It's difficult to feel sorry for oneself after reading that story! TERRI...I have never read Hellen Keller's book...I never knew there was one! I will have to find it! GRAMEE...hope you are having a good day. I know how you feel. Sigh...that is a good one to live by! Wow, what a day. A family I know (and the family in the other side of the double home) lost their house and everything in it to a fire today. Hard to be positive but I'm trying! Love is like a Flower it needs constant feeding. Everyone needs positivity in their lives! We are what we ... think ! Hmm lemme think of one I have heard..."Believe that life is worth living, and your belief will help create that fact." the weather is beautiful, warm and sunny. "Those who fear the thorns, will never pick the roses!" THANKS TERRI! I will save that and get to it very soon! I've heard this before and always makes me chuckle...especially when I ask my kids to "BUCKLE DOWN"...did I JUST SAY BUCKLE DOWN? OMGOSH...I have really turned into my MOther (funny). ANYWAY, my kids do not like to do menial labor. Don't get it, when we were young we just had jobs to do. I am VERY SURE I never, ever in my life whined about it (haha). Have a BLESSED EASTER EVERYONE! My positive thought for the day! THAT is beautiful and so insightful! My granddaughters and I made an Easter Bunny Cake. They had a great time. I love the smiles on the faces of children. Monday time for a fresh week. Yea, I know I am nothing; as to my strength I am weak; therefore i will not boast of myself, but I will boast of my God, for in his strength I can do all things. "The Past is behind; learn from it. The future is ahead; prepare for it. The present is here; live it!" **One of my favorite quotes! Whether I believe in John Edward (the psychic) or not, I was moved by one simple thing he said directly after 9-11. He was talking about all the people who said they felt helpless and wanted to do something but didn't know what to do. He told them that there was something they could do ... They could pray. Don't let negative thoughts stay more than a minute. Always have positive thoughts and you will be positive in your life. I LOVE you started this post!!! When you feel over whelmed and that you can't rise to the occasion,then fall to your knees. The place you are called to be is the place where your deep gladness and the world's deep need meet." Clean bill of health today. It is a great day. Hmmm...God IS the main event! I like what i see. So I will act. My husband and I have just decided to get pregnant this year! Not an easy time now but I know everything will be all right! I really have to put into my thoughts the words HOPE and BELIEVE to get through my tuff time right now!! Without it I would be lost. Wow! this is the first time I clicked in here and it is really awesome! Now I know where to come when I need to read some positive, uplifting and encouraging words! I continue to love this button! Here's my positive thought for the day: Yesterday, my son (who is mildly Autistic) said "bye bye mom" to me yesterday as I left for the doctor. It's the first time he's ever called me mom with meaning!!! I always do better when I remember the big picture; letting the little things go and focusing on what really matters. No matter what's going on in my life, I try to help others be positive! My parents always taught their kids that if you focus more on others than yourself, your problems will me minimized. Always encourage your kids to do their best and they will succeed. Positive energy is the only kind of energy to have.I don't have time for negativity. You can find something you like about everyone. I always start my day with a positive thought! My dog made it through surgery AOK. I am loving today.
" We confide in our strength, without boasting it; we respect that of others, without fearing it." "Be gentle with yourself. Don't expect yourself to be perfect by tomorrow morning. If you're a late bloomer,as many of us are,be patient and give yourself time to grow"
What a fantastic idea! I love this button. I've been having a bad week but I woke up today with positive thoughts and determined that my day would be good and it has been! Wake up with good thoughts! Here is a quote that helped me through a difficult day. Smile and make it a big, funny-looking smile! It will make you feel better.